Description: Portobello mushrooms are simply cremini mushrooms grown to fuller maturity. With their somewhat rich and meaty taste these mushrooms have become popular due to their versatility. They are often used as seasoning in soups or stews and are often prepared grilled or even stuffed. Originating in Italy the brown cap of the portobello mushroom is typically 4-6" in diameter with a thick and white stem below it.. 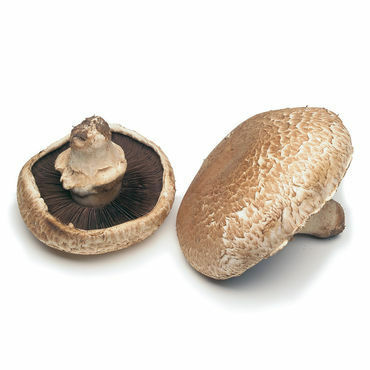 Kitchen Pharmacy: Portobello musrooms have proven to work well as an antioxidant and help support the immune system as well as DNA repair. In addition, it is believed they can help reduce your risk for alzheimer's disease.